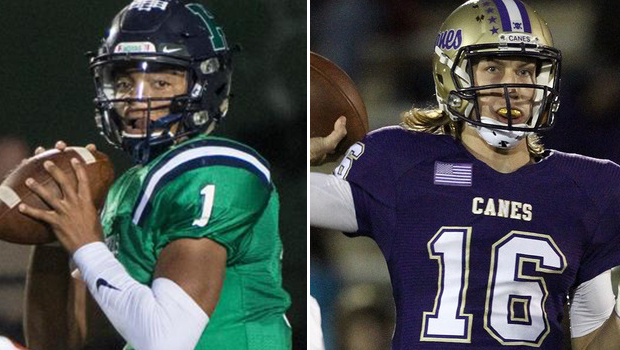 The Atlanta Sports Council released the finalists Tuesday for the upcoming 2018 Atlanta Sports Awards on June 7 at the Fairmont in West Midtown including star high school quarterbacks Trevor Lawrence and Justin Fields. This ceremony marks the 13th consecutive year the Atlanta Sport Council has recognized and honored some of the most accomplished athletes, coaches, teams and supporters throughout the Atlanta sports community. Lawrence played at Cartersville High and is now contending for the starting spot at Clemson as a true freshman. Fields played at Harrison and is expected to get some playing time with returning starter Jake Fromm at Georgia. 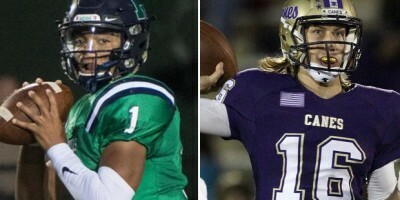 Both players graduated from their high schools early and attended their college spring practice. The other finalist for High School Athlete of the Year is Walton volleyball sensation Gabby Gonzales, who is going to Ohio State after leading the Raiders to three-straight championships. Former Atlanta Braves general manager and National Baseball Hall of Fame inductee John Schuerholz will be honored with the 2018 Lifetime Achievement Award presented by Coca-Cola, while Atlanta Falcons offensive guard Ben Garland will be honored with this year’s Community Spirit Award presented by Georgia Power, and a Southern Company. Other awards being presented include the Coach of the Year presented by The Home Depot, Collegiate Athlete of the Year presented by Enterprise Holdings, Professional Athlete of the Year presented by SunTrust Sports and Entertainment, Team of the Year presented by PrimeSport, and Moment of the Year presented by Mercedes-Benz USA. Created in 2006 by the Atlanta Sports Council, the Atlanta Sports Awards has become a way to rally the Atlanta sports community to recognize athletic excellence on a yearly basis. The Atlanta Sports Awards honors those who distinguish themselves from among the five million people living in Atlanta. That includes all professional sports teams, universities, junior colleges and more than 250 public and private high schools in Atlanta. For more information and tickets, visit www.AtlantaSportsAwards.com.